There When You Need Us. Flexible Service Hours. 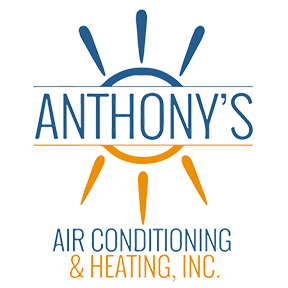 About Anthony's Air Conditioning & Heating, Inc. When it comes time to install, upgrade or repair your heating, ventilation and air conditioning system you want to choose a qualified Orange County, California HVAC contractor. A qualified contractor will behave in a professional manner. They will be on time for appointments, and will call you if they have an emergency. Their vehicles and offices will reflect the quality of the business they run. That's what you can always expect from Anthony's Air Conditioning & Heating, Inc. Ask us about our Maintenance Contracts! If you don't see your zip code, please don't hesitate to give us a call! Servicing Orange County since 2001.
click to give us a review! We Proudly Offer Senior & Military Discounts! We serve Yorba Linda, Anaheim, Brea, La Habra, Buena Park, Fullerton, Placentia, Chino, Corona, Riverside, Eastvale, Pomona, Whittier, Hacienda Heights, Rowland Heights, Santa Ana, Tustin, Orange, Irvine, Costa Mesa and the surrounding areas! If you don't see your city or municipality listed, please don't hesitate to give us a call. Copyright © 2015 - 2019 Anthony's Air Conditioning & Heating, Inc. All Rights Reserved.